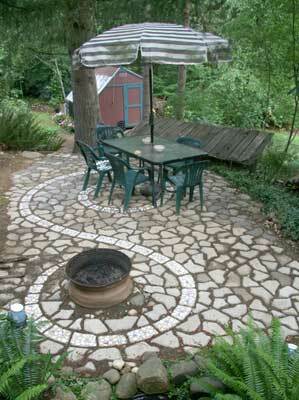 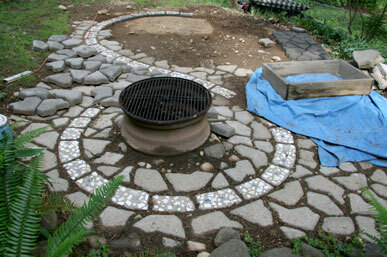 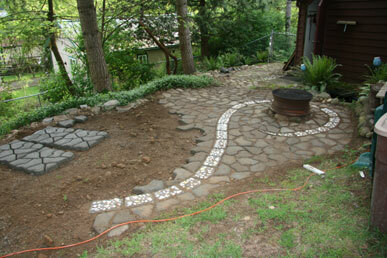 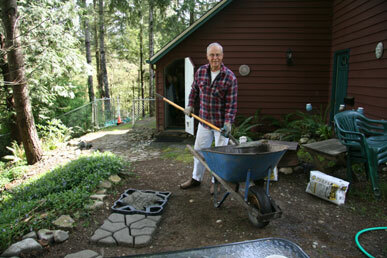 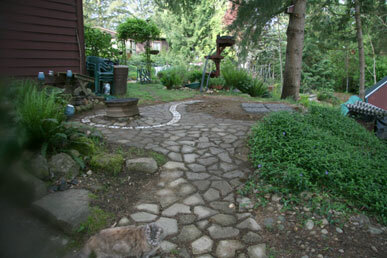 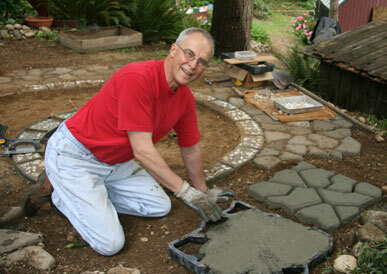 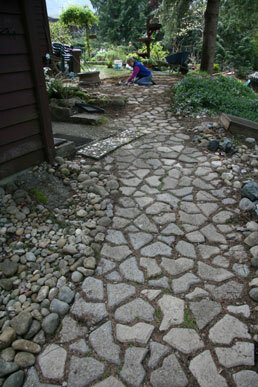 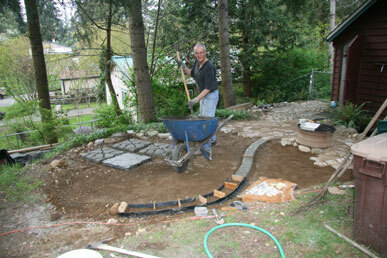 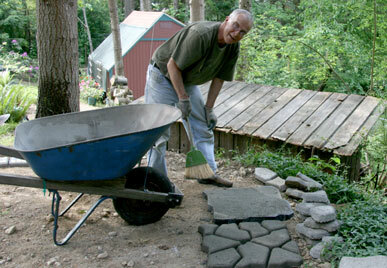 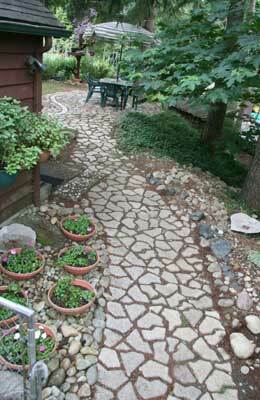 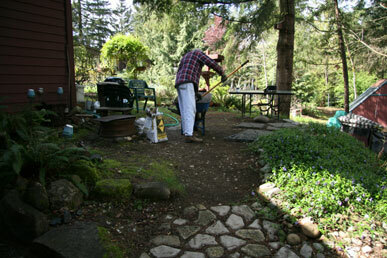 the goal is to cover the ground of the patio/grill area with concrete blocks. 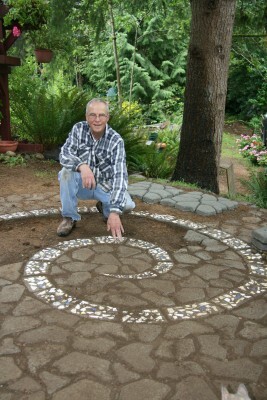 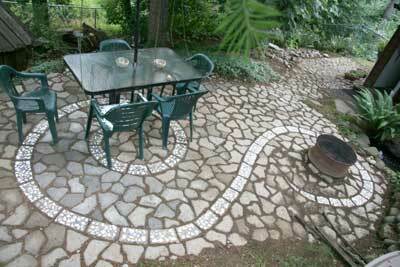 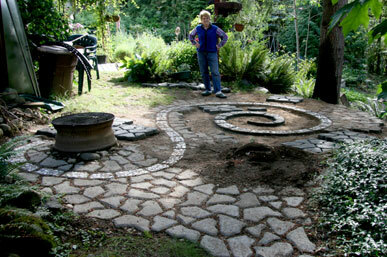 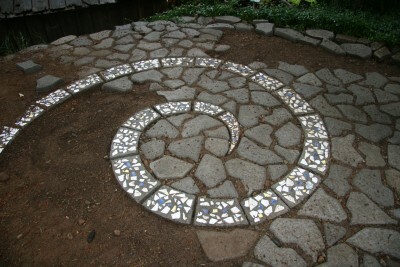 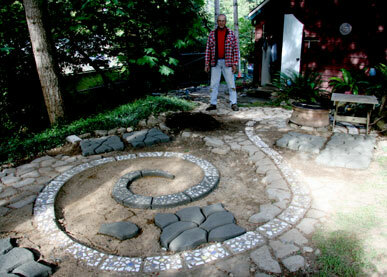 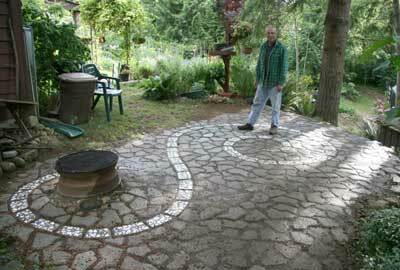 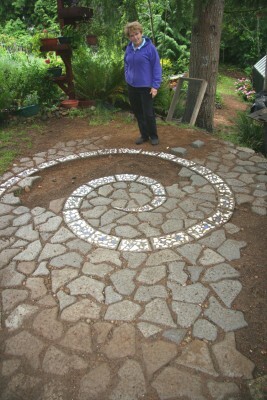 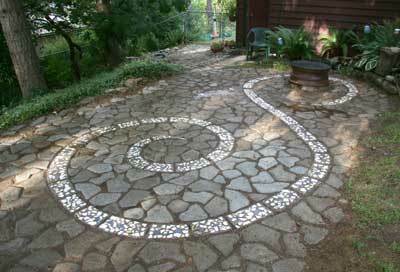 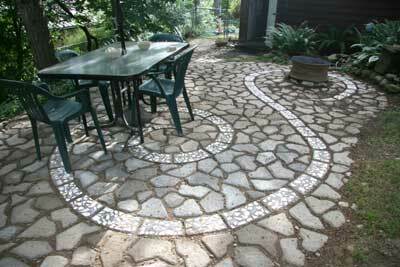 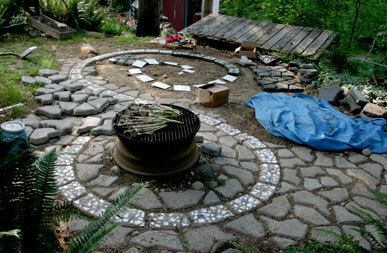 The solstice swirl design is made by using a plastic bender board to create the shape. 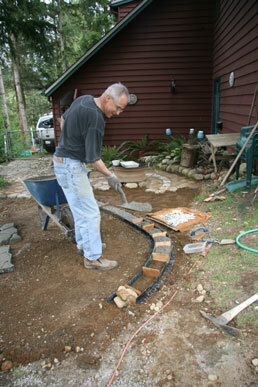 The blocks have been set into place around the bender board with new blocks getting hard. 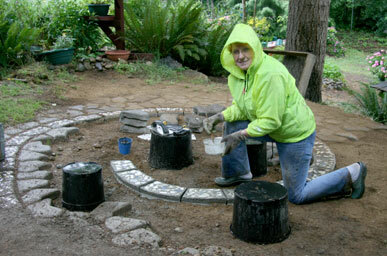 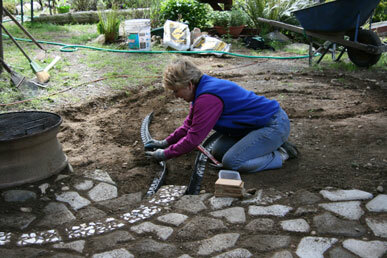 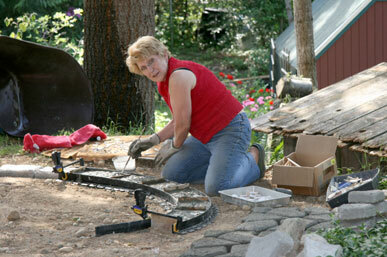 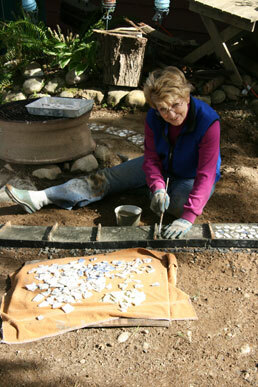 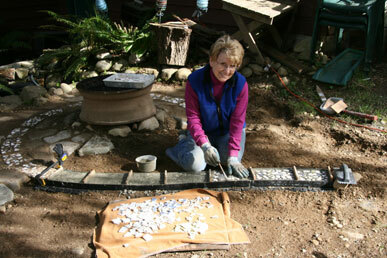 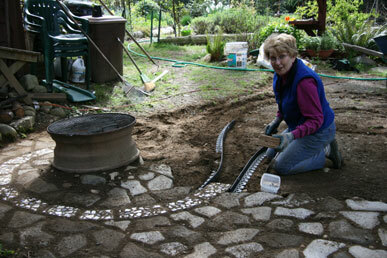 Linda brushes off concrete on the chips to reveal the white pattern. 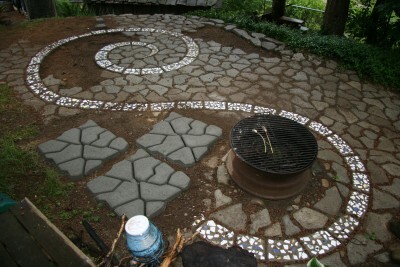 White blocks are used as markers for the spiral. 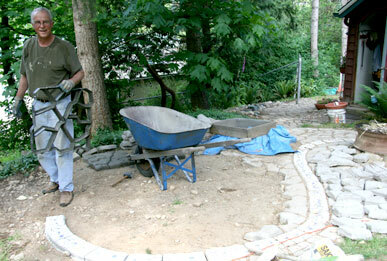 More blocks put into place with more drying blocks.